Why do so many white evangelicals support President Trump? Not just in a passive, least-worst, anyone-but-Hillary sort of way, but actively and even enthusiastically? Why have some white evangelical leaders become what historian John Fea calls “court evangelicals?” After all, President Trump is no one’s idea of a Christian. One recent argument ties evangelical Trumpism to faith, but not surprisingly, I think it has a lot more to do with historical imagination. For people who fantasize about a lost American “Shining City upon a Hill,” Trump’s “take-back-America” rhetoric punches important buttons. Over at Religion Dispatches, Eric C. Miller interviews Kurt Andersen about Andersen’s new book Fantasyland: How America Went Haywire. I haven’t read the book yet, but I’ve got it ordered. It sounds fantastic and I’m looking forward to reading the whole thing. I can’t help but spout off a little, though, about some of Andersen’s arguments in this interview. Andersen describes his explanation of the odd relationship between the starchy moralists of America’s evangelical subculture and the wildly careening leadership of President Trump. Andersen makes connections between charismatic belief and Trumpism, but I think there’s a much more obvious and important explanation. Trump appeals powerfully not to anyone’s ideas about God and worship, but rather to white evangelicals’ implicit vision of American history. Just in the last 15 years, it has become Republican orthodoxy to disbelieve in evolution and to challenge evolution instruction in the public schools. This is a uniquely American phenomenon, and it is a product of a religious tradition that, starting about a half a century ago, decided to make that stand in favor of creationism. I added the emphasis to point out the problem. Andersen’s not alone on this point, but he is deeply wrong. Radical creationism’s political oomph is not at all uniquely American. To cite just one example, Turkey’s government has made even more aggressive moves in favor of creationism. This is not a minor error, but a major misreading of the nature of modern creationism. As I’m arguing in my current book, following in the footsteps of the great historian of creationism Ron Numbers, radical young-earth creationism is not “uniquely American,” but rather a popular and politically potent response to the dilemma of post-modern life, worldwide and across many religions. That’s a big intellectual problem, but it is not my major beef with Andersen’s argument this morning. No, the real question today is about the relationship between America’s politically active white evangelical Protestant community and the shoot-from-the-hip political style of President Trump. How could it happen? [Miller]: Then I have to ask you about Donald Trump. He is now America’s Conspiracy-Theorist-in-Chief, a position that he attained with support from 81 percent of white evangelicals. Does this research help account for that? [Andersen]: It’s bizarre. It’s interesting, because he is not, in any meaningful sense, a Christian. So why is it that our most fervently Christian fellow citizens support him so strongly? Well, as you say, our most fervently Christian white citizens. I think there is something there—it suggests that there are other reasons, cultural and economic reasons, together with the religious motivations that are driving that support. But for my purposes, within this Fantasyland template, I think that they have some things in common beyond resentment of the elites and some of these other traits that are not necessarily connected to belief in the untrue—a lack of respect and all that. But Trump has shown a unique willingness to embrace claims that are demonstrably untrue—that Barack Obama wasn’t born here and a conspiracy covered that up; that Ted Cruz’s father was involved in the JFK assassination; that five million illegal immigrants voted against him in the 2016 election; and on and on and on. The fact that he is so indifferent to empirical reality and so willing to stand up and embrace explanations that simply confirm his pre-existing ideas or are convenient for him because they make him seem better or his enemies worse—it’s somewhat unkind, I understand, to say that he shares that tendency with religious people, but I think that is shared. There is no evidence that people who speak in tongues are speaking a holy language. There is no empirical evidence that faith healing works. There is no real evidence that Jesus was resurrected. I could go on. So, if believing these sorts of things as a matter of faith is central to your identity, then you might identify with a guy who is willing to take strong stands on unprovable claims. If he also shares—or pretends to share—your cultural biases and resentments, then you’re going to like him! That’s about as close as I can come to explaining this strange embrace. Certainly in terms of his lifestyle, his brutal disdain for the least among us, he is so, so unchristian. I haven’t entirely figured that out—it’s another book. Not that there aren’t plenty of white evangelicals who justify their Trumpism in religious language. Some leaders like to say that Trump is their modern David or Cyrus. But they wouldn’t say or even allow themselves to think that they can support Trump because they already believe in unbelievable things. I get what Andersen’s saying: If you are accustomed from your religious background to a conspiratorial or fantastic mindset you are more likely to choose and support a conspiracy-theorist president. However, it’s misleading to suggest that such religiously driven beliefs are a leading explanation for Christian Trumpism. If it’s not mainly due to their religious beliefs, why DO so many white evangelicals actively support Trump? I think Andersen is on the right track when he talks about “cultural and economic reasons,” and “cultural biases and resentments.” As I’m arguing in my new book [have you pre-ordered your copy yet?] 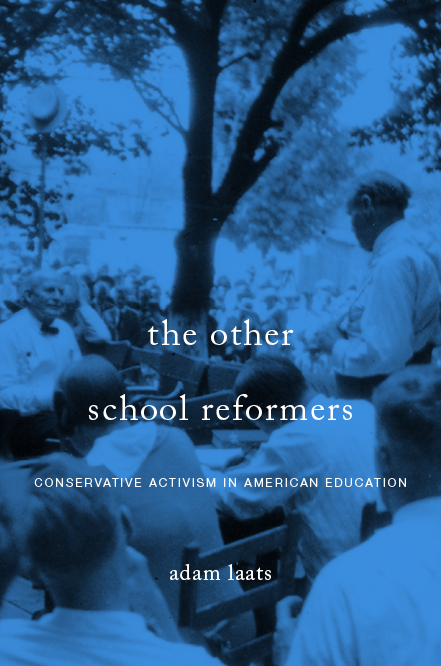 about evangelical higher education, a leading theme in evangelical intellectual life has been the story of evangelical exile, of being kicked out of the centers of political power. Among white American evangelicals, a unique historical vision of themselves as the true Americans has fueled a century of culture-war vitriol. From the 1920s through today, white evangelicals have been goaded and guided by this unique sense of usurpation. Unlike other powerful religious minorities, such as American Catholics, white evangelicals tell themselves over and over again that the United States used to be solidly theirs. Unlike other religious groups—even groups that are closely connected to them by theology such as African-American evangelical Protestants—white evangelicals have been sure that they deserve to claim or reclaim their role as America’s religious voice. In short, we can’t look to theology or faith to understand evangelical Trumpism. It’s tricky, because evangelical Trumpists will explain their decisions in the language of faith. But if we listen only to such biblical justifications, we’ll miss the far-more-important real reasons for evangelical Trumpism. For almost a century now, white evangelicals have wanted to “take back America.” Their college campuses have been seen as both citadels and havens for an imagined real America, the kind of America from which the rest of America seemed to have strayed. When a political candidate comes along and declares his wish to “make America great again,” it resonates powerfully. Just ask Reagan. It is this history of resentment, of a sense of historical exile, of usurpation, that best explains white evangelical Trumpism. Wonderful set of observations, Adam. And yes indeed, it has been a century of deep resentment for white evangelicals. Our contemporary “culture wars” began in the wake of the Great War. No, that’s incorrect. The resentment goes deeper, to the post-Civil War era. America’s culture wars derive not from the first world war but its roots in Bismarck’s kulturkampf, which is where we get the word and concept. The attempt to unify a German state, break the influence of the Catholic church in it, and herd sectarian Protestants (principally Calvinists and Lutherans) into a state church has had far-reaching effects for Europe and North America. Just within the history of the Lutheran Church Missouri Synod, this outmigration of disgruntled anti-liberal Germans was formative, as it was remade in the US by hardline traditionalist immigrants who dogmatized evolution and had a leading theologian in the 1920s teaching that heliocentrism had to be rejected. Along with other Dutch and Scottish Calvinist denominations, in the early 1900s they were resisting public schools, services in English, lodge membership, insurance that took money and mutual out of the church community, and the chaplaincy as the requirements for clergy in the military were perceived as mechanisms for assimilating them to secular, liberal norms. Surely. Protestant Fundamentalism in America took on a resentful, backward-looking desire for a restoration of a lost patrimony with the Civil War and those who remained loyal to the “good old cause.” This is actually what the right has as its most unifying, central feature — various sectarian religious, regional, and ethnic laments for loss and longing for a restoration. I would not be surprised if some historian has shown how Anglo-Scottish-Calvinist influences were part of the South’s formation of resentful restoration narratives. Minorities and surviving diasporas crushed by a larger power have frequently organized their identity and purpose around themes of revenge and return; the Bible is obviously a master enabling text for this kind of thing. If we could somehow come up with a time machine, and take these evangelicals back to the “good old days” as they really were, then they would hate it. Because those real “good old days” were full of drudgery and unpleasantness. They were not at all like what the conservatives have imagined them to be. It depends on who you talk to. Many, maybe most, have a sense of having lost an ethnic, linguistic, sub-national, regional, and/or confessional identity. This sense of loss more than the actual identity is often handed down from a parent or grandparent. Most probably lack a detailed historical grasp of what in fact was lost, but many do have a good idea of what its good points were. You are wrong to see this past as being “full of drudgery and unpleasantness” — at least for white people of fairly decent means and social mobility. In real, objective terms (that were often rooted in cheap servants and quasi-slave labor) social cohesion and wealth has declined radically. Putnam’s Our Kids describes from a somewhat liberal perspective what the social costs of privatized profits has meant. Real wages have remained stagnant or in decline for most Americans for 40 years. Unless that changes, rightwing “populism” will lash out. You’re right of course that anti-Darwinism is not an American original, but would you call it a European and maybe especially an Anglo-American product? It only appears to exist in non-western regions due to western (typically American?) influences seeking allies and opportunities amid non-western antimodern/antiliberal/antiwestern reaction. I am a biblical conservative and I strongly support President Trump – and for religious reasons. Here are a few. First, he is not politically correct: this makes him biblically correct. Can you think of any political correct position that is also biblically correct? Third, he is supporting a more limited and constitutional form of limited government. This is tacitly supporting a biblical view of the nature of man. Man is great having been created in the image of God and flourishes with as much freedom as possible – limited government. But, man is fallen and cannot be allowed too much power – separation of powers and limited government. I am a biblical conservative as well and have been following this site for a while and recognize that I am in way over my head, but I hope to continue the conversation. Don, I question your first proposition. I agree that politically correct does not equal biblically correct, but isn’t it a fallacy to say that “not politically correct” equals biblically correct. I could think of areas where this is clearly true. I do agree with the final two statements as they would reflect my view as well. I think it is good to have those who hold to biblical viewpoints in a limited government. However, this does not mean that I will blindly endorse every perspective or policy that they promote. We need to consider each piece uniquely. Dan, there were no constitutional governments in the biblical world (as you know). I don’t believe the Bible makes a case for a specific form of government in the world today. In the OT, God did establish (attempt) a theocracy, but due to the sinfulness of man it did not work. So the nation of Israel was guided to a theocratic monarchy (a king who was to follow God). That didn’t work either as the kings chose to not follow God. I don’t believe that God wants either of these for us today. I believe that goes along with Don’s 3rd statement that the sin of mankind will make any government that involves people one that has flaws. Therefore, limited government and a separation of powers is key. Add an unkempt dumpster, make a evangelist religion’s logo honest? Suggesting hypocritical narcissists can be creationists, as if there were ever an honest posit of a God who sprang from another particular ego or existential being, is void. Dishonest, if you don’t believe that you are Trump (sure, Ivanka, whatever;) and if you do…just empty! ‘biblical conservative’ means you don’t believe there is a grammar. ‘Biblical Conservative’ means you’re not from the Austrian School of Conservatives like Hayek who require some deprecation of banking and regulation from innovation in craft and you can’t possibly care what tome of steam tables you use to rip the cap off entrepreneurship and drink the elixir of it. You’re gonna have all the Tce (temperature coefficient of expansion,) dammit! I was a bit surprised that Dr. McLeroy showed up here, but am not at all surprised by his comments given his well-known history with the Texas State Board of Education. While some view creationists in positions of power as a good thing, many of us are quite wary of people who are willfully ignorant regarding large portions of science having significant influence in national policies. Although I am not sure of the meaning of ‘biblical conservative’, I do know that in the time of Jesus, it was the Pharisees who were the biblical conservatives, and we all know how that turned out. Re ‘politically correct’ – that is a conservative pejorative for any attempt to lessen the emphases on the differences attributed to ‘the other’, which again seems to be something that Jesus was quite committed to. And, please to tell AG Sessions about limited government – he can’t preach federal powers out of one side of his mouth and then preach state’s rights out of the other. We should also take note of Dr. McLeroy’s complete lack of interest in biblical morality, sexual ethics, family values, and so forth. The president is not a representative of the good society or accountable to the values that define it, even in conservative “biblical” terms. Trump is simply a means to an end — creationists (and others) who attach their will to power to his will increase their own power, and whatever the cost, they deem it worthwhile. I wish “political correctness” was understood as you describe it, but it isn’t, and neoliberals are to blame for this to a great degree as they’ve used it to mask and deny social class to their own advantage through “identity politics.” Conservatives see identity politics as a part of political correctness — maybe the worst part. They reject what you might see as inclusive and polite language because they see in it an effort to deprive them of their beliefs, values, and social power. E.g., white people in “traditional” relationships (marriage, children) perceive they are being marginalized in the cultural mainstream as rich oppressors, poor imbeciles, and/or reactionary ideologues and religious fundamentalists by a rich, oppressive, dogmatic, liberal multiculturalism that has maneuvered to replace them. Unsubtle and angry dogmatists on both sides tend to validate the negative view the other has of them, but the really bad news is both views are approximately correct. Each seeks hegemony and very unequal distribution of power for its particular favorites. Both have corrupted and abandoned their universal values and vision of humanity. Dan – I totally agree with your comments about PC. I was trying to emphasize the perspective outlined in Conservapedia regarding PC, and its origins. The authoritarian left has gone entirely off of the deep end with identity politics with the craziness of cultural appropriation, a culture of being offended, etc. For this, they deserve scorn. As you say, dogmatists on both sides are indeed bad news. Dan – I, too, appreciate the comments on PC. While I can’t speak for Dr. McLeroy, I believe we should be careful to not jump to the conclusion that he has a “complete lack of interest in biblical morality….” However, you do raise a difficult dilemma for biblical conservatives (and probably everyone who votes for a candidate who is not themselves). I do not glowingly endorse President Trump for any of his non-biblical morality, ethics, values, etc. For those things and others, I do pray for him and all the governing authorities (as I have previous presidents). On the other hand, I agree with many of his political stands and policy desires (but not all of them). So in that way, yes maybe there is a sense in which “the end justifies the means,” but isn’t that true with any politician we vote for? Don’t all of them have flaws, personally and politically? But we must choose which flaws we will put up with because we like other policies. Aren’t there many who voted for Hilary Clinton who didn’t like certain parts of her policy or personality, but were willing to put up with those things because of other policies? This is a dilemma for all of us at times. It reminds me of Chuck Colson’s book, Kingdoms in Conflict. While written for christian conservatives, I think may apply to both sides. Unfortunately, the President’s flaws get to the heart of the matter for biblical conservatives who have been too quiet in their concerns for him. But maybe this is because it is a heart issue and not a policy one. It is not my place to condemn anyone to hell. That is reserved for God. My place is to walk along side others on the journey. I believe many of us too quickly judge (condemn) others for non-“life or death” issues and that stops communication. My greatest concern is that we have stopped talking about issues in government and are not truly trying to solve them, simply win another election and make sure the other side can’t accomplish anything.